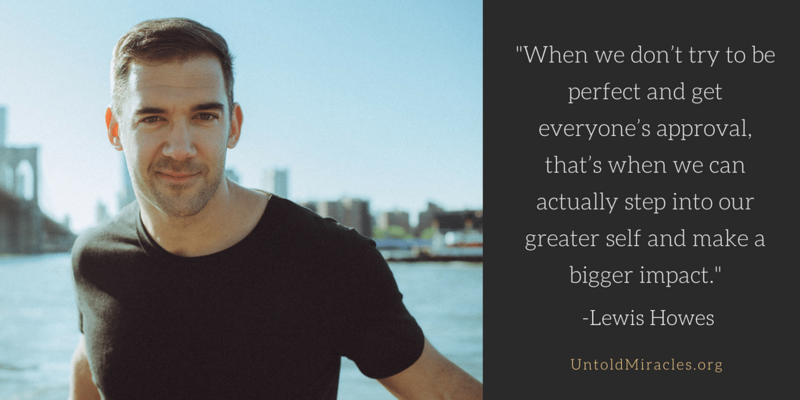 Lewis Howes talks about how he overcame bullying, a learning disability and sexual abuse in his childhood, his top three tips for greatness, and the inspiration behind his book, The Mask of Masculinity. Lewis Howes is a New York Times best-selling author, lifestyle entrepreneur, high performance business coach, keynote speaker, former professional football player, host of one of the top podcasts in the world, School of Greatness, and host of the new show on Facebook Watch, Inspiring Life with Lewis Howes. How Lewis overcame bullying, a learning disability, and sexual abuse in his childhood to create miracles for others. How an injury took Lewis out of a successful football career and left him jobless, living on his sister’s couch. How Lewis had the courage to turn down a job interview to pursue his dreams. The top lessons Lewis has learned from his podcast, School of Greatness. The inspiration behind the writing of The Mask of Masculinity. How Lewis manifested his dream of hip bumping Ellen on her show. Next post: Your child could be the 2019 IHOP Kid Chef!